DAN DEE PRETZEL & CHIP CO. Welcome to the TOGACHIPGUY.COM home page! Saratoga Springs is rich in history, known for it's horse racing heritage, bottled water and bath houses in the late 1800's and early 1900's. What people fail to realize is that none of these claims to fame are original to Saratoga. Yes the town made a name for and improved all of them, but the only true Saratoga original is the Saratoga Chip! Alan Richer, The Toga Chip Guy, has made the history of the Saratoga Chip his passion. 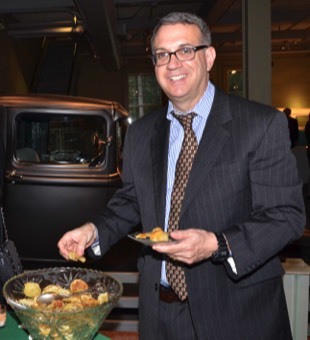 He has dedicated a large portion of his post GE career toward the history of the potato chip and where it originated! 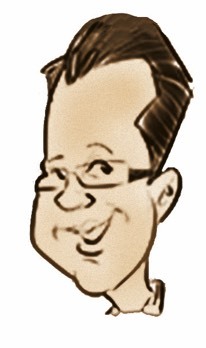 Alan is available to share his wealth of chip information via talks and presentations. His program makes a great addition to any convention or event your group is holding in Saratoga (there are over 120 hosted in town each year) and will also travel to speak and educate your group, association or organization on the history. To ensure you receive all of my blog postings. Alan Richer, otherwise known as the Toga Chip Guy, is perhaps the most informed Potato Chips enthusiast and historian in America. He has been an invaluable resource and information source to us at Chips and Crisps, and we credit him for providing a fascinating insight into the Wonderful World of Chips and Crisps, especially in it formative years​. ​His interest began with the origins of the Potato Chip and is a renowned expert in field, especially; Saratoga Chips - where it is said it all began. His memorabilia collection is second to none and we very much look forward to visiting it and him at some stage. Alan Richer, otherwise known as the Toga Chip Guy, is perhaps the most informed Potato Chips enthusiast and historian in America! He will tell you all you need to know about the chip, and its history in Saratoga Springs! I like your website, I find it to be at once educational and entertaining. I loved your history display, especially how you captured images of the name "Saratoga Chips" being used across the country. Excellent! Very educational! Really enjoyed the history & tour. Keep up the good work spreading the story of Saratoga Chips. "The FailChips documentary is now live and I wanted to share it with you! Everyone over here is super happy with how this came out and we hope you are too! We had such a wonderful time filming with you and appreciate you taking the time to film with us!" "On behalf of the OGS Special Events Office, I wanted to take a moment to thank you for your participation in the 2017 Black History Month Celebration. Your participation in the Cultural Expo and Vendor Fair made the program a tremendous success. Again, thank you very much for being a part of this important program." "Thank you so much for your willingness to help us out in many ways for The Chip Festival. Again, we are grateful for your help as a judge and with the display." Thanks again for being a part of our broadcast, for being so generous with your collection, and for teaching us all about the local origins potato chip. "Great presentation last night! I really enjoyed hearing about your collection and how you became interested - and you were funny, which I liked." "You did a wonderful presentation!" Author of Crunch A History of the Great American Potato Chip. "A valuable source of information. Alan Richer has provided me with guidance and knowledge on a delectable topic. Thank you for your generous assistance." "Outstanding Display! Love the History." "Great collection and very interesting!" "Your program was extraordinarily interesting to everyone. You've done an incredible job of gathering the material culture." "It's absolutely fascinating. *** I think you've done an amazing job creating the presentation --for foodies like me, it's pure eye candy." …..Plans also call for family-oriented activities and entertainment, and a history display by Alan Richer, the “Toga Chip Guy,” who has a variety of potato chip memorabilia and artifacts related to Saratoga and the industry as a whole. Please continue to look for opportunities to tell the fascinating story of the “Toga Chip Guy” and his wonderful collection. "... a part-time potato chip historian from New York." "Richer, of Saratoga Springs, will discuss the myth, folklore and legend associated with the invention of the snack that has developed into a multi-billion dollar industry." "Alan Richer likes his history a little salty. Known locally as the "Toga Chip Guy, Richer has immersed himself in the myths, folklore and facts surrounding America's most beloved snack food." 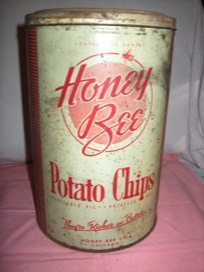 "Fascinating pictures of the history of the potato chip"
Visit Dave’s Blog by clicking here or the image below.